When it comes to deck building, you want a permanent fixture that’llenhance the beauty of your home and last through the seasons. At The Decksmith you have the freedom to define your ideal look with a range of composite, hardwood and softwood timber decking brands. All of these materials can be custom-made to reflect your personal taste and the colour scheme of your property. From the moment you contact The Decksmith you’ll get the advice and support you need to make an informed choice. Simply book your FREE design consultation and one of our team members will visit you onsite to answer your questions and show you product samples up-close. Call us on 0468 486 290 for a FREE design consultation today! Here you can learn more about the different kinds of decking materials and how they can enrich your outdoor space. You can be confident each composite and timber decking brand is carefully chosen by us and sourced from only the most trusted suppliers. So you know you get a quality and long-lasting product every time! A popular form of durable hardwood that can be used in a variety of decking applications. With its rich vibrant colour, natural resilience to insects – yes, even those destructive termites – and strong durability in the outdoor conditions, merbau is quality timber that’ll stand the test of time. 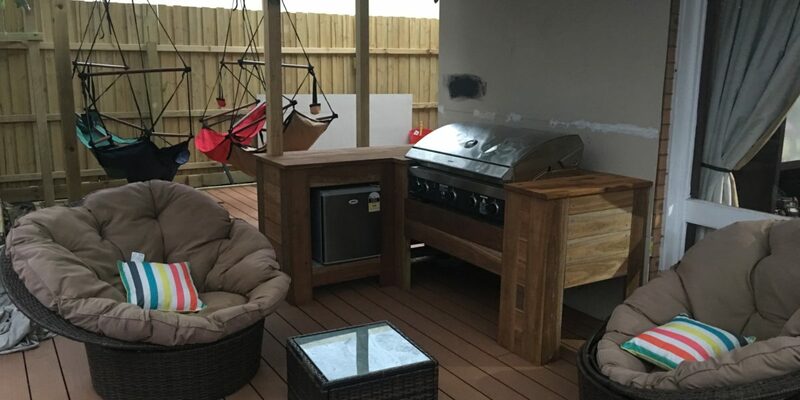 Spotted gum is a versatile hardwood that can be used for all kinds of decking applications. This timber decking brand is available in a range of colours from olive green to red tinge and pale straw. Plus, it’s easy to paint or polish your spotted gum into the colour of your choice. Spotted gum is also be used for structural applications such as bridge construction (great for swimming pools! ), mining timbers and railways sleepers – so you know it can support your household deck with ease! Tallowwood has a distinct pale to dark yellow-brown colour scheme that separates itself from the rest. Popular for internal flooring, cladding and outdoor decks, tallowwood is extremely tough and has a natural ‘greasy’ touch that makes it easy to handle and install in any environment. An eco-friendly and low-maintenance material that faithfully replicates the look and feel of real timber. Repurposed from natural wood fibres and various recyclable components, composite decking is just as resistant to the harsh elements as its real-life counterpart – but without the need for maintenance. Get up close and personal with the latest composite and timber decking. Let our team help you choose the right product for the job and give you obligation-free quote – no strings attached. Discover the latest composite and timber decking brands today! Call us on 0468 486 290 or send your online enquiry.